Outdoor greenhouse is designed with perfection by our talented team of qualified professionals. Our outdoor greenhouse is extensively used for performing research trials in various climatic conditions in development centres, research institutes and agricultural industries. This outdoor greenhouse is designed in different sizes and dimensions according to the needs of the customers. It is equipped with technologically advance range of components which helps in high yielding of crops. Furthermore, it is known for its easy installation and low maintenance. Polycarbonate closed greenhouse is designed by using supreme quality polycarbonate and used for protecting crops from sun, heat, rain etc. These are available in temporary, permanent, full and mini sizes as per the precise demands of clients. Polycarbonate closed greenhouse is available in various attractive styles and designs as per the specific requirements. Polycarbonate greenhouses have better insulation values and the polycarbonate glazing is virtually indestructible, which ensure complete safety. These have standard roof space and rim heights, which provide proper space for healthy plant growth. This greenhouse includes various numbers of side louvers and roof vents for good ventilation. 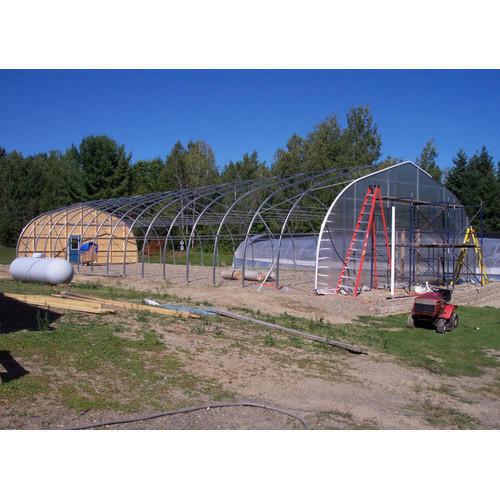 Open vent greenhouse is extensively used for agricultural purposes. These are exclusively designed with automatic vent openers which further allow hot air to escape from greenhouse and at the same time also allow fresh air to come in the structure. These are exclusively designed to keep the temperatures moderate and also promote perfect air circulation in the entire greenhouse. These are provided with both solar powered or electricity powered options. Our greenhouse is designed as per international standard and its latest technique and unique model protects plants automatically from various worst heat damage situations which can be easily occurred in an unventilated greenhouse. 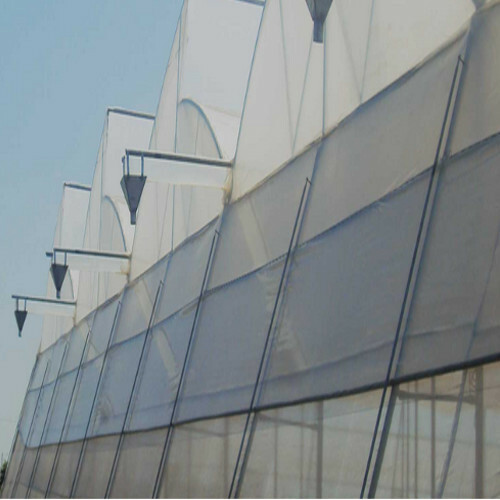 Besides, we ensure application specific structure and longer working life of our open vent greenhouse.